Raheem Sterling is hoping that winning the EA SPORTS Player of the Month award for August is only the start of Manchester City getting their hands on silverware this season. The City winger won the award for the first time after votes from a panel of experts, Premier League captains and the public were combined (see: How the awards work). His performances of two goals, one assist and winning a penalty for a goal in the opening-day match with Sunderland, meant he emerged victorious from a shortlist of Eden Hazard (Chelsea), Antonio Valencia (Manchester United) and Curtis Davies (Hull City). Sterling is hoping that City's 100% record will continue this season, with the Manchester derby tomorrow, and will result in team, not just individual, honours. 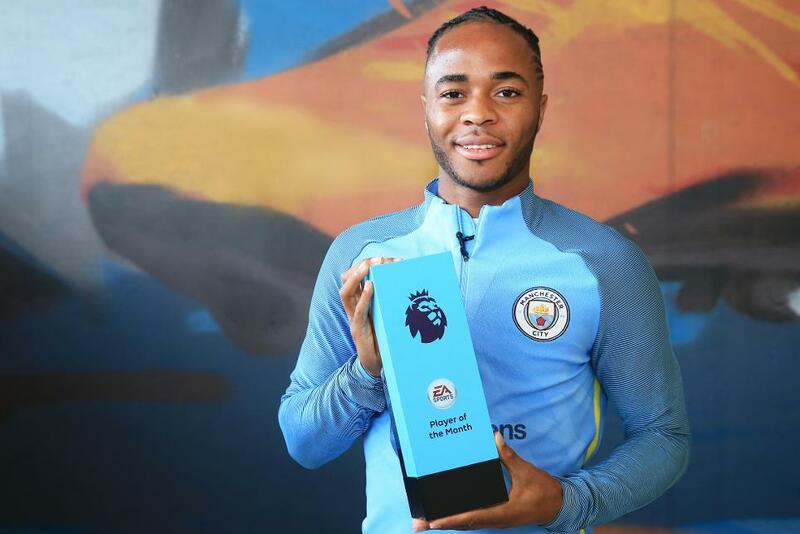 "I'm absolutely delighted to have won the EA SPORTS Premier League Player of the Month Award for August," said Sterling. "As a club we've had a fantastic start to the Premier League season and to be recognised individually in this way is very pleasing. "To receive personal awards is great, but it really is all about the team. "We're only just at the beginning of the campaign and there is a long way to go, but I only hope that this is a sign of things to come and by the end of the season the team will be getting our hands on some silverware."